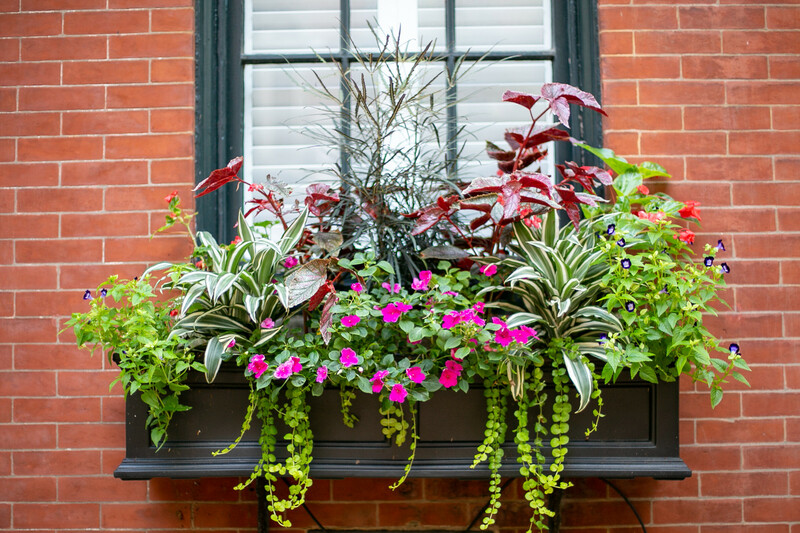 Vertical planters can range from hooks that hold window boxes full of flowers to elaborate patchworks of "living wall" planters teeming with ornamental herbs and small plants. 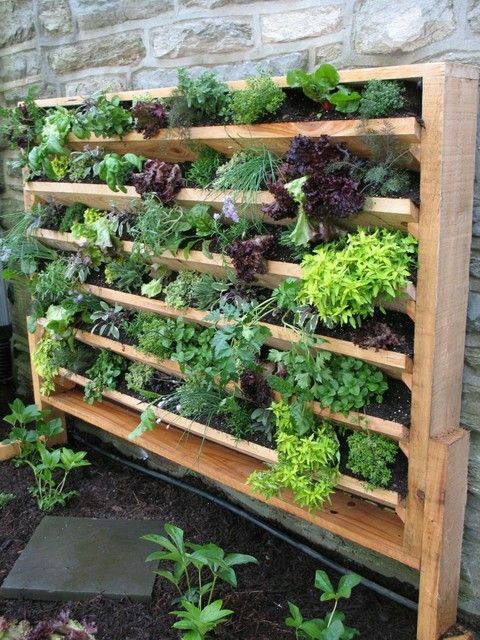 Some wall planters have built-in irrigation mechanisms, while others need to be watered manually. Either way, wall gardens need room to drain, so if you live in a multi-level building, think of the residents living below you and strategize for safe and considerate drainage. 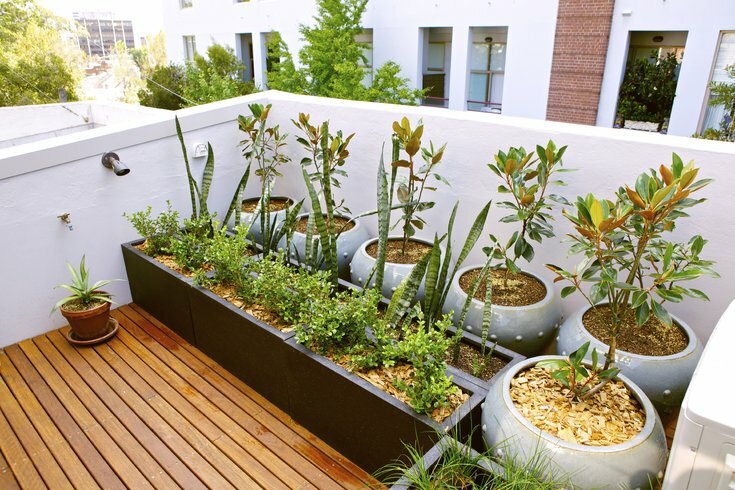 With direct access to sunlight and rain, your plants are more likely to thrive on a roof deck. Elongated plastic planters work in open spaces with direct light, but be sure that they’re vented for drainage. 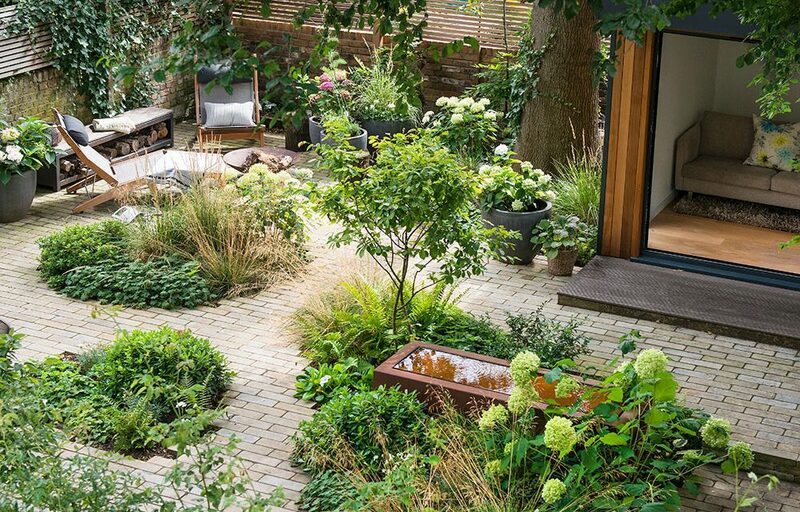 If you do have a patch of earth to call your own, plant a small lawn with a raised bed for seasonal gardening. Maintain a tiny row of ornamental grasses or plant hearty pansies in the fall, and replace them with carrot seeds in the very early spring. Late-summer cucumbers and tomatoes are also an option if your space gets 6 or more hours of full sun per day (no shade!). If you’ve got all-day shade, take a chance on salad greens! Arugula, kale, watercress and spinach are fans of shadow and thrive in cool, damp weather (keep an eye out for frost). Here are some options for stormwater management that can add ease to the beautification of your home and street! Through Rain Check, Philadelphia residents can have stormwater-management tools installed at their homes for free or at a reduced price. 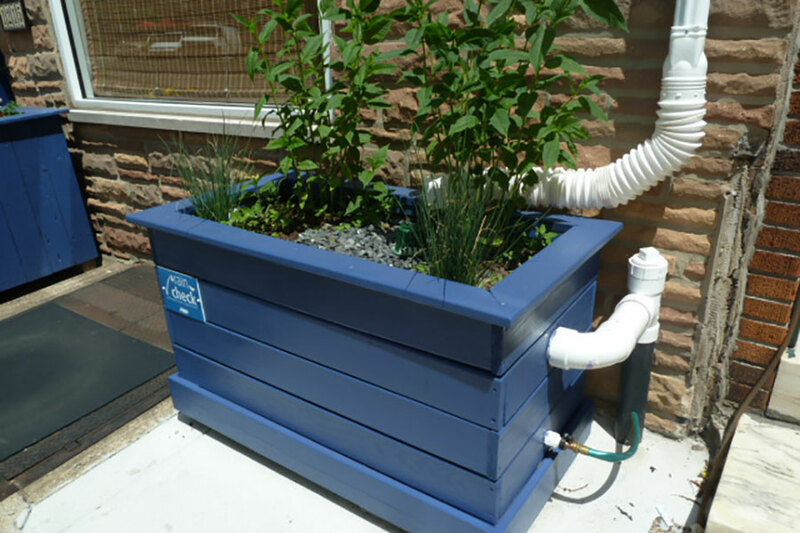 Rain Check offers rain barrels, downspout planter boxes, rain gardens, de-paving and porous pavers. After attending their one-hour educational workshop, you can decide which stormwater tool you’d like to have installed.